Suspected communist rebels belonging to the New Peoples Army (NPA) reportedly attacked a police outpost and destroyed mining equipment in two separate locations in Mankayan, Benguet on Wednesday night (June 7). 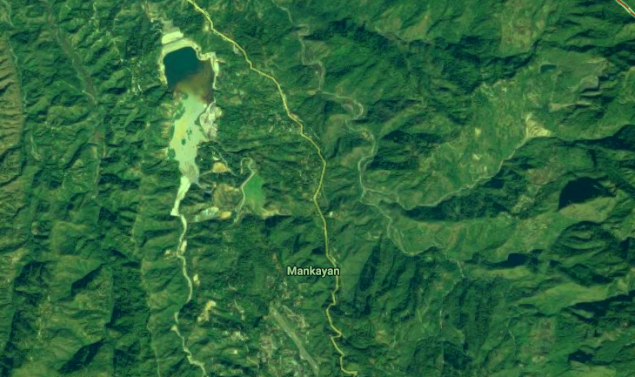 According to the Mankayan Municipal Police Station, they received a call around 10:00 on Wednesday evening that the tailings dam of the Lepanto Consolidated Mining Company located in barangay Cabiten was under attack by an armed group. Mankayan Mayor Materno Luspian also said he received a call around midnight about explosions and gunshots coming from barangay Cabiten and barangay Colalo. Witnesses on the site in Colalo said that the attackers were composed of at least seven men and one woman. A backhoe, a bulldozer, and a lime slaking machine at the Chemical and Mineral Laboratory in said site were destroyed by the group. A police station there was also attacked and destroyed. The group also tried to blast mining equipment at the tailings dam in Cabiten but they weren't able to do so because of the arrival of policemen and soldiers. There were no reported casualties. Only one company worker suffered a minor injury when a bullet grazed one of his legs. The incident is currently being investigated by the authorities.